Essential therapy for your horse's Health & Performance. Use Niagara Equissage to enhance performance, facilitate healing, promote general health and well-being and treat specific illnesses and injuries with powerful cycloidal vibrations. Simple and very safe to use, the Niagara Equissage Back Pad is designed to give general relief and benefit the skeletal, muscular, circulatory and lymphatic systems. Using the equipment in the saddle position is also ideal for warming up the horse and particularly for warming down. Used in warming down, the Niagara Equissage Back Pad will relax the horse and help reduce the build up of lactic acid and the stiffening of muscles and joints. Horses have 25 main nerve and acupressure points which can become blocked. This may lead to a number of common muscular problems, including shortened strides, head and neck discomfort as well as hip and shoulder lameness. All of which lead to loss of performance. 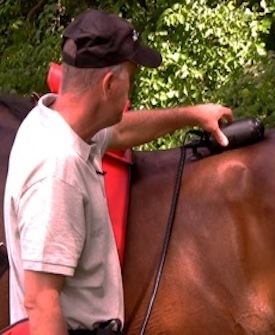 The Hand Unit is designed to give deep cycloidal massage direct to these nerve areas, thus relieving the symptoms and rapidly improving your horse’s condition. The Hand Unit massage can also be beneficial for bleeding and breathing problems. The Hand Unit should always be used in conjunction with the Back Pad, as it will be more effective when the horse’s Lymphatic System is already stimulated by the Back Pad. 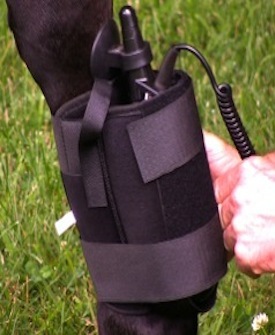 The Niagara Equissage Leg and Tendon Boot is the most effective way to treat the majority of leg and foot problems. These problems include pulled ligaments and tendons, swelling or inflammation, circulatory disorders, arthritic conditions, sore shins, and capped hocks. The Leg Boot in conjunction with the Niagara Equissage Hand Unit will create a very deep circulatory massage to the whole leg. This in turn will increase local blood supply and lymphatic drainage and help improve joint mobility. 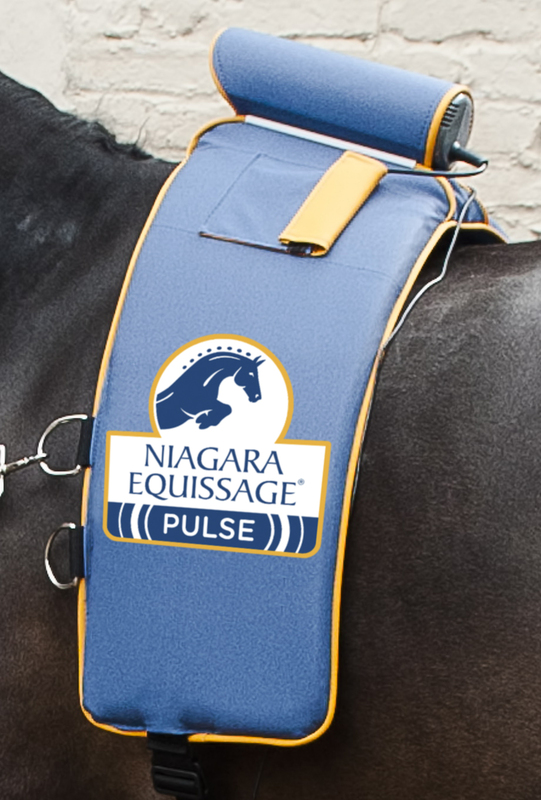 For more information, please visit our Niagara Equissage product overview page. This herbal combination is known to be helpful in cases of muscle and joint problems in horses, dogs and humans. 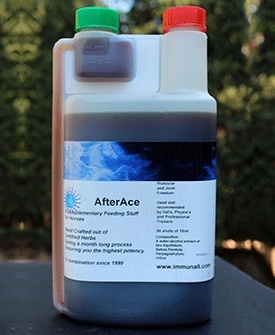 AfterAce helps to release toxic waste (uric and lactic acid) that has built up in the muscles and joints, causing inflammation and restriction in movement. Waste products often settle in muscle tissues which are not rich in blood flow, in particular the parts attached to the bone and around joints. This may cause pain, stiffness, calcification of the ligaments and restrict movement. It is thought that waste products, being acid, have a negative effect on the level of hyaluronic acid in the joints which in turn causes the soft cartilage to calcify and possibly form Osteochondrosis (OCD). AfterAce is thought to bring the acid balance back in the muscles and joints, reducing inflammation and avoiding calcification of the ligaments. 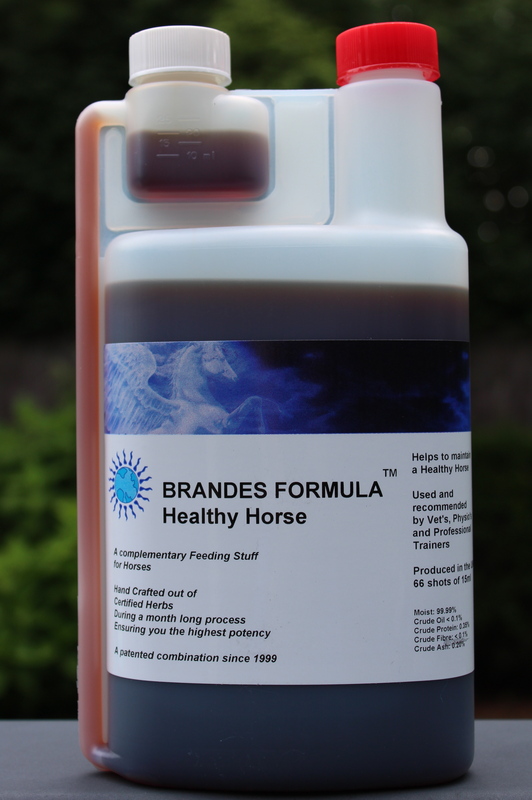 Brandes Formula - Healthy Horse is a nutritional herbal supplement that supports the immune system, and helps to cleanse the liver and kidneys. Horses metabolize protein more efficiently, look and feel incredibly well, have great energy and recover quickly from exertion and illness. Focus on the cause and not the symptoms. The cause of most equine health problems is the result of a poor or compromised immune system. Avoid unnecessary medical bills and downtime by keeping your horse’s immune system in good working order. Chronic presence of waste products causes poor transport of nutrients and low energy levels, this can cause weight loss and sensitivity to infections. It is recognized that Brandes Formula Healthy Horse plays an extremely important role in combating this. The Carssage, for humans, works much the same as the Niagara Equissage system, providing a deep cycloidal massage. 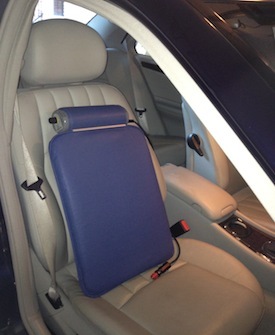 It can be used both at home and in your vehicle during long journeys.